As Linkin Park prepares for its upcoming North American tour, frontman Chester Bennington is predicting a much shorter turnaround for the group's follow-up to 2007's "Minutes to Midnight." 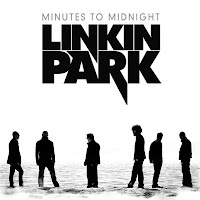 "We sparked a new kind of life into what we do during the writing of ('Midnight')," Bennington told Billboard.com. "We want to keep that going. I think we're in the mode, and I have a good feeling we're going to put another record out really quickly." Bennington said Linkin Park will bring recording gear on the road to capture ideas that come up while they're on tour. In addition to the North American jaunt with Coheed & Cambria and Chiodos that kicks off February 12 in Omaha, Neb., the group plans to host another edition of its Projekt Revolution tour this summer; bands and dates are expected to be announced within the next couple of months. "There was a long period of time between the release of 2003's 'Meteora' and 'Minutes to Midnight'," Bennington said. "Even though we did tour (for 'Meteora') for two years, we didn't start working on writing ('Midnight') until seven months after we stopped touring. So it seemed like a really, really long time to our fans and it seemed like a really, really long time to us. I don't see that happening again." Bennington didn't want to hazard a guess as to what Linkin Park's fourth studio album will sound like, however. "I never anticipate what we're gonna do," he explained. "I find that overplanning a creative project usually means you're gonna screw it up, so I really don't focus on what we're gonna do. When a song comes, I'll write it. When a song comes to (vocalist/keyboardist/guitarist) Mike (Shinoda), he'll put an idea down. We just kind of roll with it spontaneously."